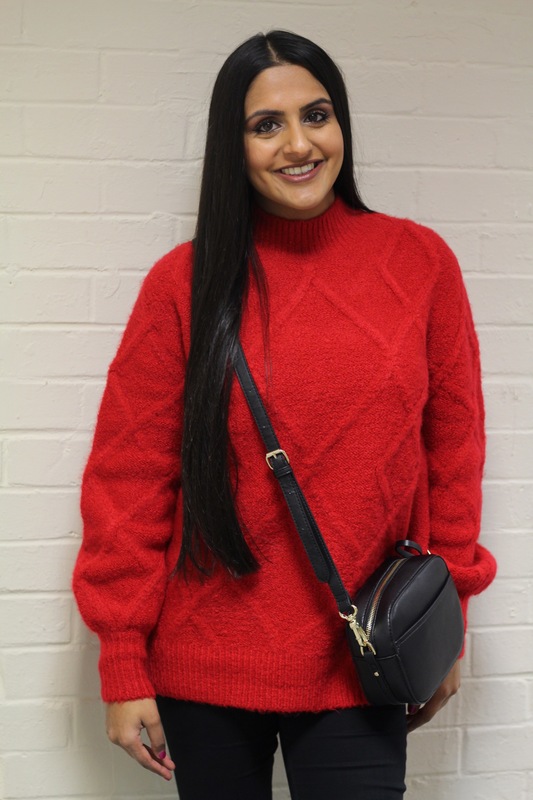 During my recent blog shoot at Monsoon in Nottingham, I was gifted this chunky red ‘heather heavy jumper’! I absolutely love the colour as I’m trying to invest in more red toned clothes to help formulate my capsule spring wardrobe and it’s also a classic jumper which I will wear winter after winter. It’s a nice fit with tight cuffs which brings the jumper together and I love the classy textured pattern along the front. I found this ‘Corbett camera bag’ in Accessorize and thought it looked very much like the Gucci Disco bag and I know some of you will be on the look out to find the perfect dupe of that bag so why not grab this one and save yourself some money! This bag is only £10 now in the sale, which is very affordable even if you just want to use it for one season. I decided to keep the look very simple by just using the jumper and bag against some simple Topshop black jeans. This jumper comes in a thick style but looks effortlessly stylish when worn with a longline coat or even a macintosh. 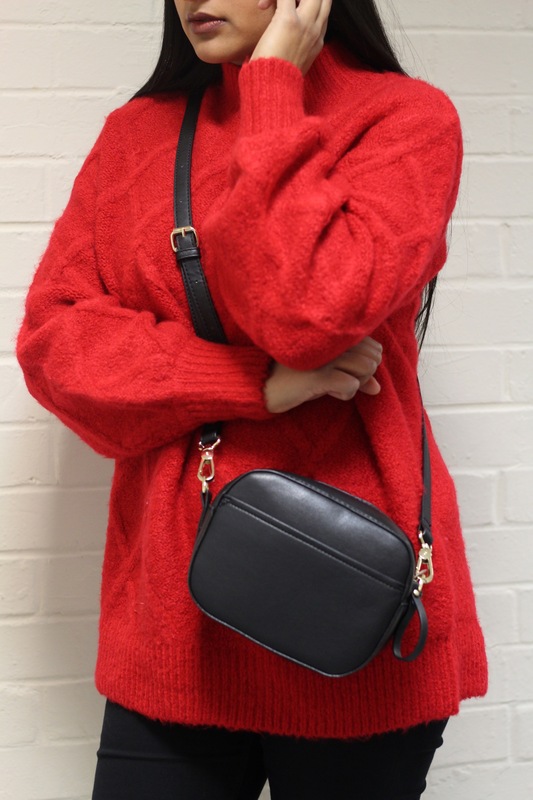 Sometimes you just need a comfortable, cute jumper and a high fashion dupe bag!